Another post by a wonderful Guest blogger!! 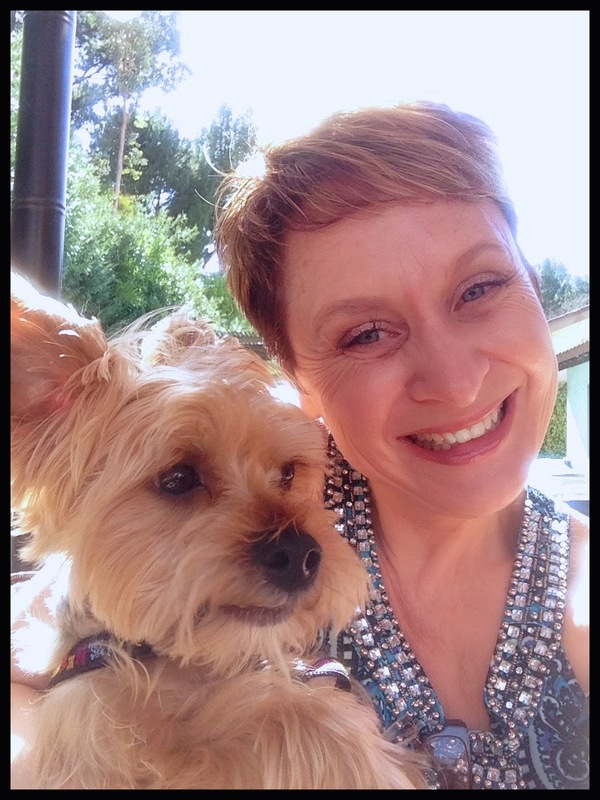 here's the fabulous Holly Atwater, CZT! My girls and I take "selfies" with the famous DIVA!" I'm sure that most of you have had the opportunity to read Laura's account of the first couple of days of that wonderful seminar... however... she didn't finish her story. (I think life got in the way!) Soooo... before I get into what the challenge is this week I want to take this opportunity to share a little bit about Laura's part of the seminar. Laura was a guest speaker for one of the evening events at seminar. 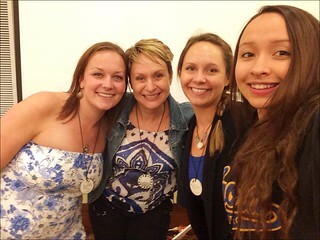 My daughters and I were so excited to listen to her speak, we have been fans since we happened upon this awesome blog when we started tangling. Some of the challenges my dad has done PLUS his binders! 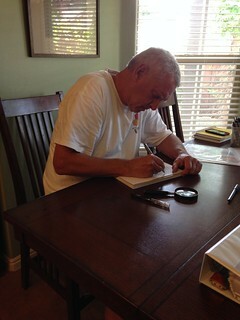 Here's my dad... tangling away! Laura was so thoughtful... She immediately grabbed the tile that she had used during her speech to demonstrate how to draw Phicops, flipped it over, and addressed it to my dad and mom. It was a very special moment for me. Thank you Laura for your generosity and thoughtfulness. A tile of THX... I have so much to be grateful for. I so enjoyed being your substitute challenge maker this week. I hope you enjoy this challenge and have the opportunity to think of all the things YOU'RE grateful for while you tangle away! Please visit me at my blog some time... http://hadesigns.blogspot.com... or at my Facebook artist page https://www.facebook.com/hadesigns.czt. It would be so nice to see you again! Hi! 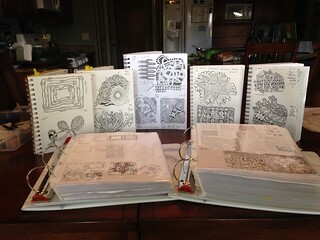 I’m Holly… and I have an addiction… to all things ZENTANGLE® (art-and-crafts-and-cooking-and-baking-and-Bikram yoga…). I really think this is a very healthy (overall) addiction(s) to have. Anyway, that’s what I tell my ever-so-patient awesome husband. 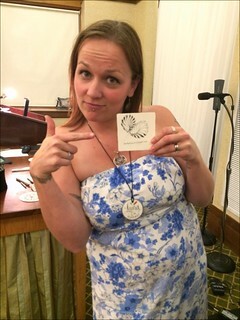 I am absolutely thrilled to be a Certified Zentangle Teacher™! I feel so lucky to share this amazingly inspirational and meditative art method with my students. I encourage all to take a class! You’ll love the experience! 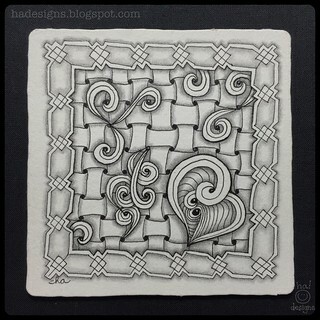 You can always find me at www.hadesigns.blogspot.com to follow my adventures in life & art. Stop by anytime! Thank you Holly, a super selection of tangles. Holly, this was my first attempt to use these tangles. Thanks for forcing me to stretch. Like you, I think I'm partial to Trio. This was my first time participating in a Diva challenge! I just got back from CZT17 last week and heard about it there! This is my first time too to participate in the challenge thanks to Holly you chose my pattern Trio. 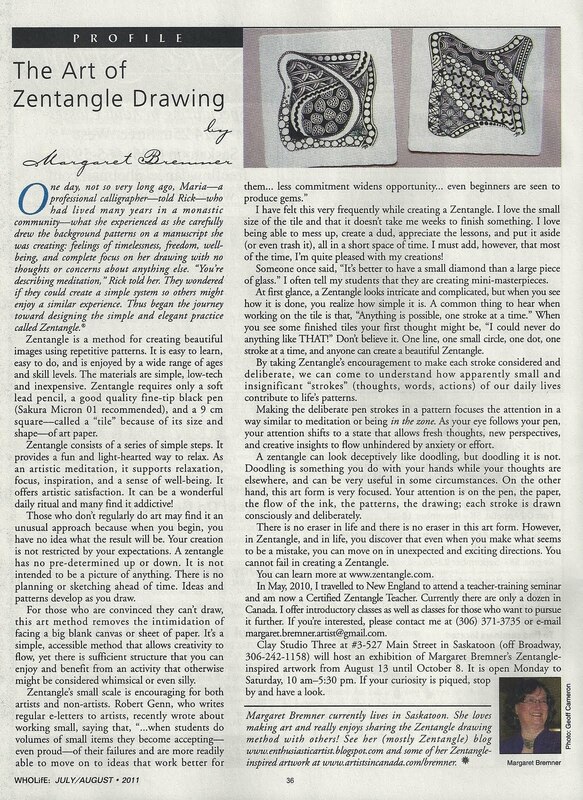 So I guess I did it all wrong ;0) I added the link before I am ready with the blog and the picture. I'll leave a comment again, when everything is set.... Sorrry for that! I had fun with this. Thanks Holly! I've combined doing my first challenge with doing my very first actual tangle. Had lots of fun, thanks for the challenge. Love looking through the various results, too. Nice challenge. Was not familiar with Trio. Hope I did it justice. Laura, glad to hear that Artoo is starting to feel better. Thanks, Holly! I enjoyed your post, pictures, and challenge! Your dad is right, he need to become a CZT too! Love to try the new ones. Thank you.